Locally designed in our studio by our team of talented designers, the introduction of a new season quilt cover collection is always an exciting moment for us! Often inspired by some of the most beautiful textiles found across the globe, our designers are constantly working to bring a unique combination of colour, pattern and texture into your homes. 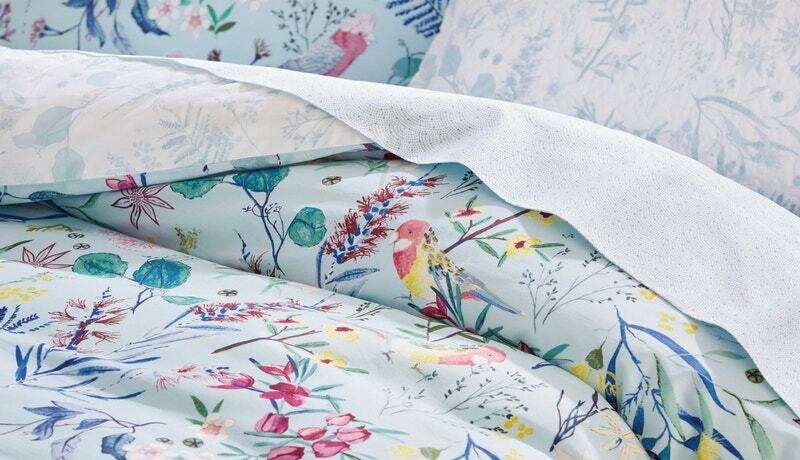 With our beautiful Spring/Summer ’17 collection now arriving in stores and online, we wanted to delve deeper into our new collection of quilt covers, what inspired the designs and how our designers make sure that there’s something there for everyone. So we decided to speak to our in-house quilt cover designers to see how the new collection came together. How does the design process for a new collection begin? It’s actually very intuitive. We begin by putting together mood boards but, more often than not, a curiosity towards a particular colour or an instinct or desire to work on something specific begins the process. We are constantly researching global style trends ahead of a new season. Through our travels and exploration, we always make sure we’re bringing a fresh, unique style to the Australian market each season. Then, once we’ve completed a range of different designs, we take a step back and look at what we’ve got to make sure there is something there for everyone. We like to make sure there’s a wide range of colours, patterns and textures so that everyone can find what works for their home. What colours and patterns are on trend for this season? A lot more florals were brought into the collection this season. I think the brightness and freshness that comes to mind when you think of spring and summer means that this can often be reflected in what kind of style people are inclined to have in their homes. There are also some lovely natural greens coming through this season which are beautiful and work perfectly to add freshness to the home. Our florals this season are distinctively different to what we’ve seen before as well. 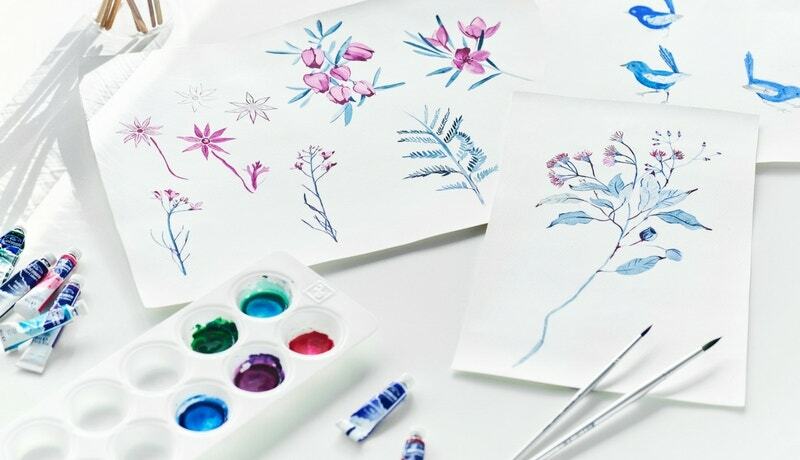 We decided to take a botanical Australiana approach to some of our designs this season with some beautiful native flora and fauna featured throughout the range. Where did the inspiration come from in creating an Australiana theme? We often look towards the rest of the world to inspire the patterns and colours of our designs so this season we really wanted to create something distinctively Australian – something that made it not just ‘another floral’. I think people really appreciate and love the uniqueness of the natural land that we’re surrounded by here in Australia and we wanted to reflect that love in a fresh, unique way. Often an artwork comes together from pieces of personal experience as well. 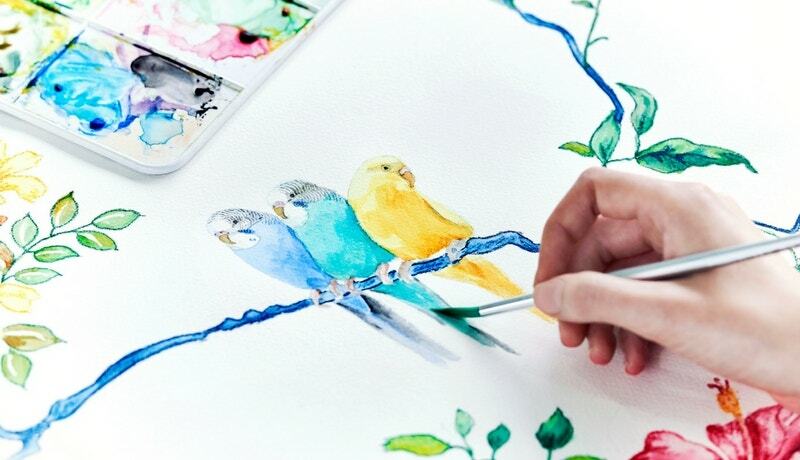 For instance, when I was painting the artwork for the Cooinda quilt cover, different memories of Australian birds came together to create the theme of the design. We’re always excited to incorporate an element of colour into a design. With the increased ability of digital technology, we’re not restricted by colour anymore and so we could achieve the accurate colours of the native flora and fauna which is also very exciting. 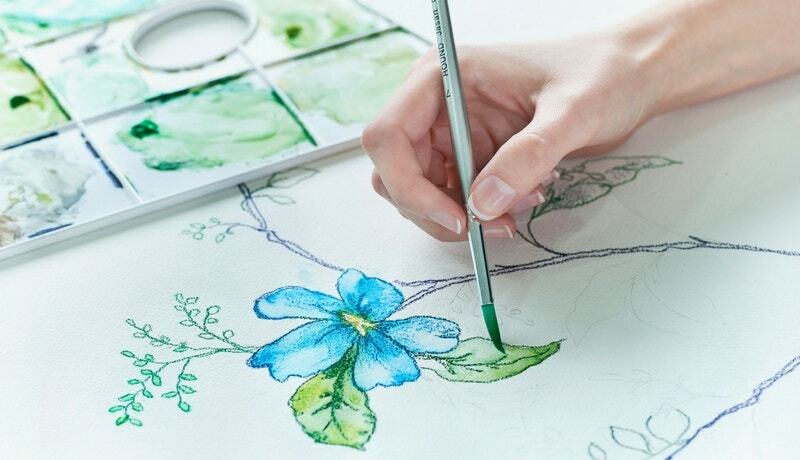 We often take a stylised approach to florals, so we decided to take a more botanical approach when creating this design. I’ve always personally had an appreciation for birds and so, when painting this artwork, native birds naturally began to form throughout the design. 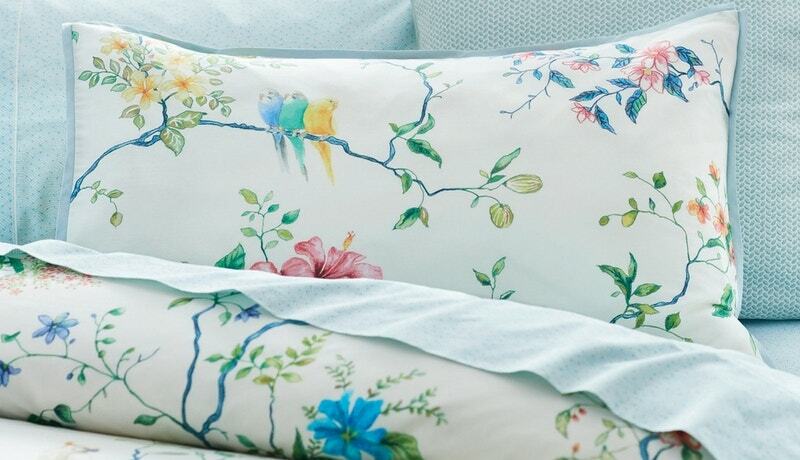 Canaries and pardalotes and tiny little willie wagtails are hidden throughout the design amongst the bright, bold colours of rosellas and galahs. The name ‘Cooinda’ is actually an Indigenous Australian word that translates to ‘happy place’ – whenever we name a design we try and accurately reflect the meaning or spirit of the design through the name. 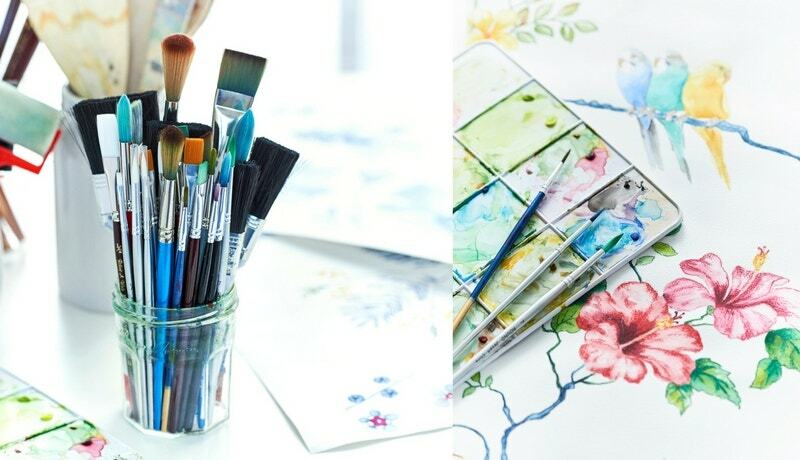 You said that the new collection has quite a lot of floral designs. 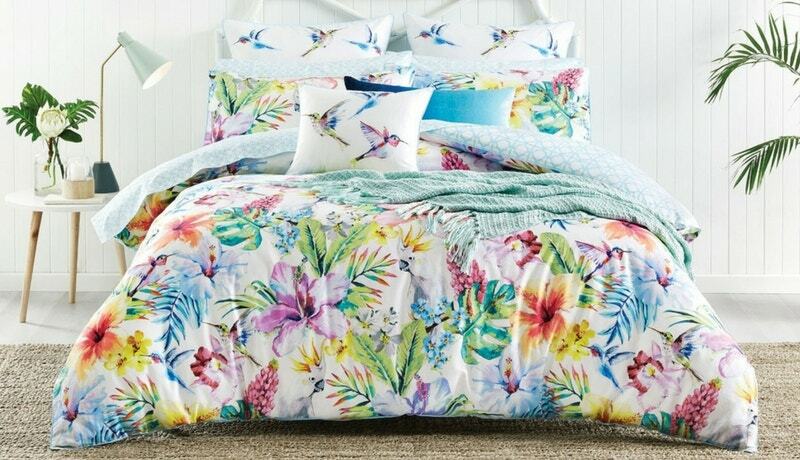 What would you say to people that are unsure about introducing a floral into the bedroom? I think there’s actually a lot of variety in florals that means that most people can find something that appeals to them or suits the space. 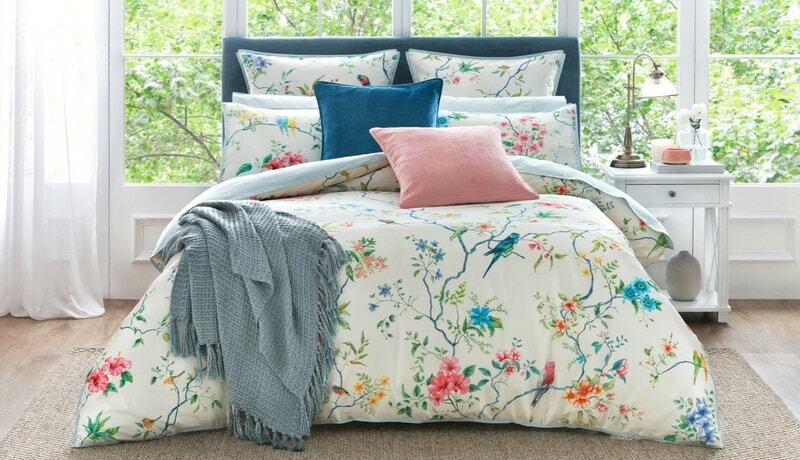 And there’s no better time to start an infatuation with florals than the beginning of spring! 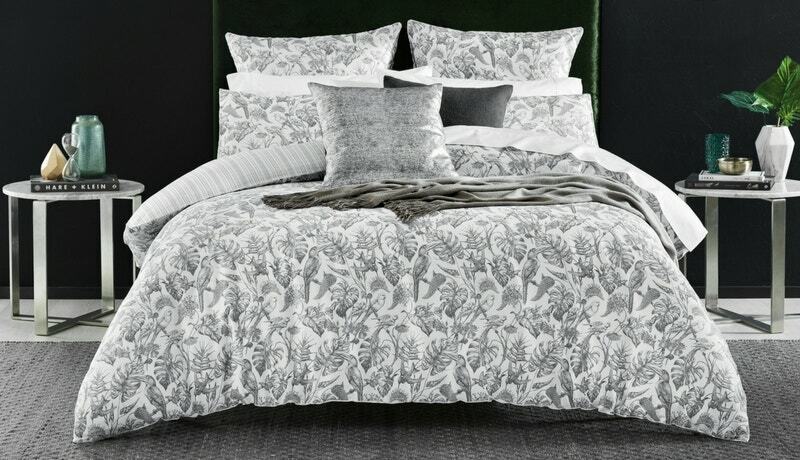 This season has quite a number of different options for incorporating an element of floral design into the bedroom as well. 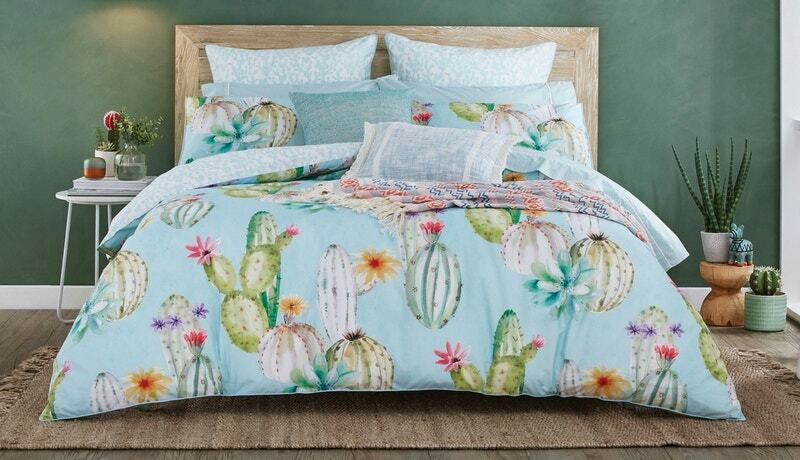 For instance, the Mari quilt cover offers a beautifully eclectic stylised floral, the watercolour blooms of the Cacti quilt cover brings a contemporary approach to the range, the Amarela quilt cover is very sophisticated and the Palm Cove quilt cover brings a tropical twist to the floral look. 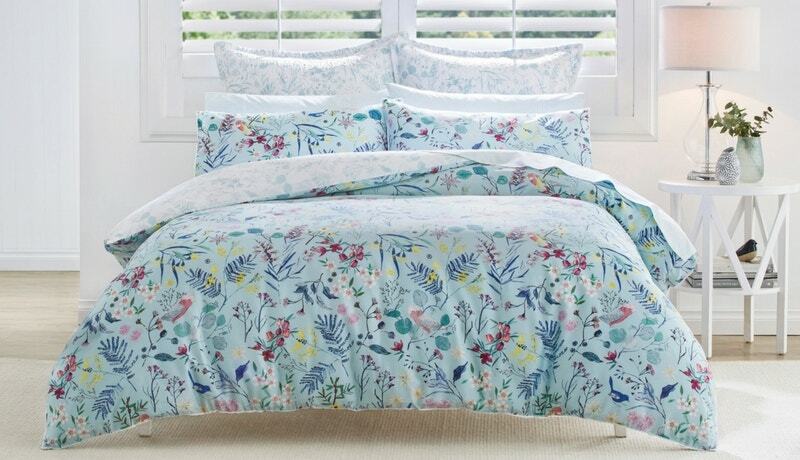 And then, of course, if you love the Australian botanical approach, the Cooinda or Springbrook quilt covers are perfect! Find your favourite floral in our New Season collection.